Great for fabrication purpose, the mild steel flat is a superb construction material that combines versatility, strength, and is also easier to fabricate. Used extensively in construction purposes, the mild steel flats find application in a variety of ways. Subject to easy cut, the versatile and strong mild steel flats are essential components of construction and industrial build requirements. 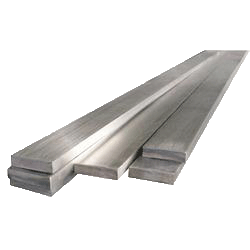 As a leading and longstanding ms flat manufacturer in Chennai, companies standing in India, the MPT Private Limited (MPTPL Group) of Chennai is a popular destination for the customers of quality mild steel flats and also we are the largest ms flat bar manufacturers in Chennai. The mild steel flats maintained as stock here are diverse and priced attractively. We are a favoured supplier of high quality mild steel flats and maintain comfortable level diversified stock. We have a large base of satisfied customers across Tamil Nadu. This is so because, we always put our best efforts to ensure that our customers get only the best quality products and as per their specific requirements. Being a manufacturer, fabricator, dealer and ms flat suppliers in Chennai of various finished and raw metal and allied products necessary for the construction and engineering sectors, we are in an advantageous position to address the requirements of specific to special needs of our individual to enterprise level customers, for these products. The MPTPL Group is manned by an experienced and qualified group of technical and service personnel to assist and help our esteemed customers. We quickly provide the necessary information needed and possible best solutions for selection of the right type of mild steel flats. Further, on our part, we always make it sure that our valued customers get the best and right type of mild steel flats at reasonable prices, which are best for the category in the market. Round the year we stock adequate quantity and variety of regular to special grade mild steel flat products at our premises. Customers desirous of placing firm orders for mild steel flats or for getting techno-commercial information can contact us directly or via telephone for prompt response.